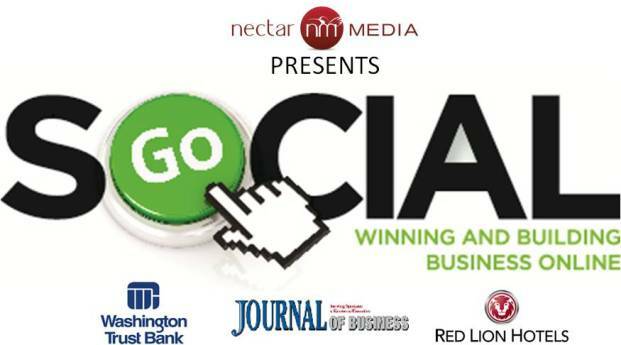 Spokane, WA – Spokane’s largest social media marketing conference for businesses is coming to town. Hosted by nectarMEDIA, Go Social – Winning and Building Business Online – aims to educate, motivate and equip businesses on efficiently using social media and relationship marketing to win new and build existing revenue. “We are in the largest fundamental shift in the way consumers interact with businesses ever,” says nectarMEDIA owner Josh Wade. The all day conference is sponsored by Washington Trust Bank, Journal of Business and Red Lion Hotels and in partnership with Gonzaga University’s Hogan Entrepreneurial Program, Unleashed Online Marketing, KXLY Radio Group and more. Nationally acclaimed author Rick Bakas, former Nike brand executive, and VP of mobile payment provider Press Pay and Nansen Malin, the world’s most followed non-celebrity on Twitter join a host of regional marketing experts to provide a day of educational talks and hands on breakout sessions.